What is the cheapest way to get from Crickhowell to Newtown? The cheapest way to get from Crickhowell to Newtown is to drive which costs £10 - £15 and takes 1h 24m. What is the fastest way to get from Crickhowell to Newtown? The quickest way to get from Crickhowell to Newtown is to drive which costs £10 - £15 and takes 1h 24m. How far is it from Crickhowell to Newtown? The distance between Crickhowell and Newtown is 46 miles. The road distance is 62.6 miles. How do I travel from Crickhowell to Newtown without a car? The best way to get from Crickhowell to Newtown without a car is to train which takes 3h 8m and costs £45 - £70. How long does it take to get from Crickhowell to Newtown? 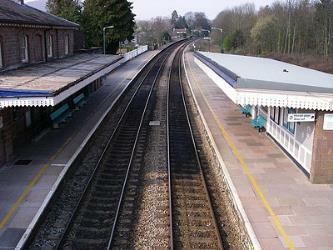 It takes approximately 3h 8m to get from Crickhowell to Newtown, including transfers. Can I drive from Crickhowell to Newtown? Yes, the driving distance between Crickhowell to Newtown is 63 miles. It takes approximately 1h 24m to drive from Crickhowell to Newtown. Where can I stay near Newtown? There are 315+ hotels available in Newtown. Prices start at £53 per night. 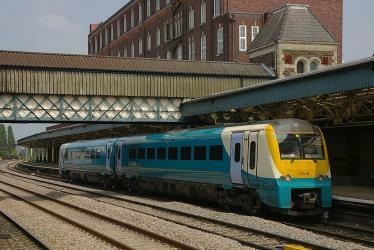 What companies run services between Crickhowell, Wales and Newtown, Wales? 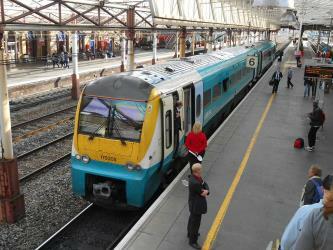 You can take a train from Crickhowell to Newtown via Abergavenny and Shrewsbury in around 3h 8m. Discover how to get to attractions and hotels near Newtown. Dolforwyn Castle (Welsh: Castell Dolforwyn) is a Welsh medieval castle above the village of Abermule, Powys. The fortification was established by Llywelyn ap Gruffudd, Prince of Gwynedd in the late 13th century. It is sited on a wooded ridge commanding excellent views of the upper Severn Valley. Montgomery Castle (Welsh: Castell Trefaldwyn) is a stone masonry castle looking over the town of Montgomery in Powys, Mid Wales. It is one of many Norman castles on the border between Wales and England. Clun Castle is a ruined castle in the small town of Clun, Shropshire. Clun Castle was established by the Norman lord Robert de Say after the Norman invasion of England and went on to become an important Marcher lord castle in the 12th century, with an extensive castle-guard system. Owned for many years by the Fitzalan family, Clun played a key part in protecting the region from Welsh attack until it was gradually abandoned as a property in favour of the more luxurious Arundel Castle. The Fitzalans converted Clun Castle into a hunting lodge in the 14th century, complete with pleasure gardens, but by the 16th century the castle was largely ruined. Slighted in 1646 after the English Civil War Clun remained in poor condition until renovation work in the 1890s. Rome2rio makes travelling from Crickhowell to Newtown easy. Rome2rio is a door-to-door travel information and booking engine, helping you get to and from any location in the world. 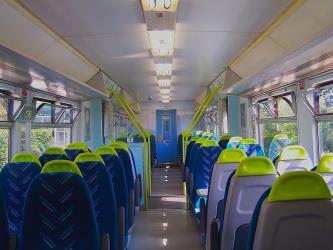 Find all the transport options for your trip from Crickhowell to Newtown right here. Rome2rio displays up to date schedules, route maps, journey times and estimated fares from relevant transport operators, ensuring you can make an informed decision about which option will suit you best. Rome2rio also offers online bookings for selected operators, making reservations easy and straightforward.